You know you heard about this! 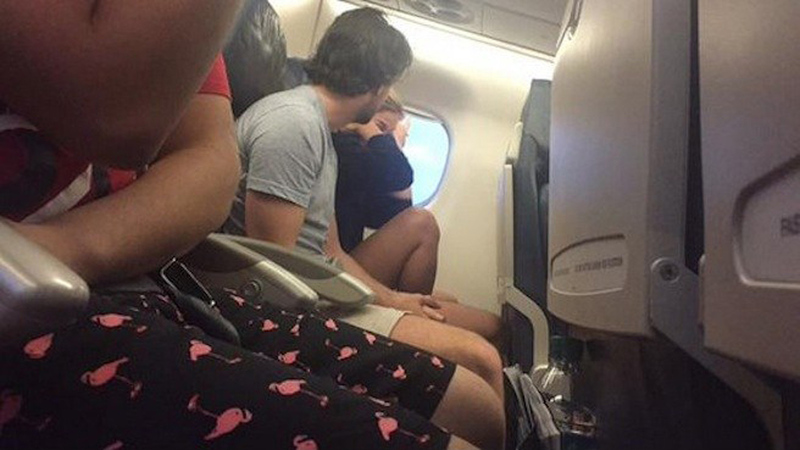 This lady live tweeted the most devastatingly awkward break up ever between a couple that was midair. Screaming, crying, and awkward silences abounded, and this woman could not help herself from sharing the public breakup that eventually went viral. Saying, “I just can’t stand to be near you. I would change seats if I could,” the guy was just ripping into the sad girl as she expressed that he hated everything about her and that she regretted spending an extra $40 to get on the same flight as him. It’s quite sad, and clearly, they went their separate ways following the landing, but little did they know that their breakup was breaking the internet by the time they got home from the airport. This definitely tops our list as one of the most awkward break-ups of all time.